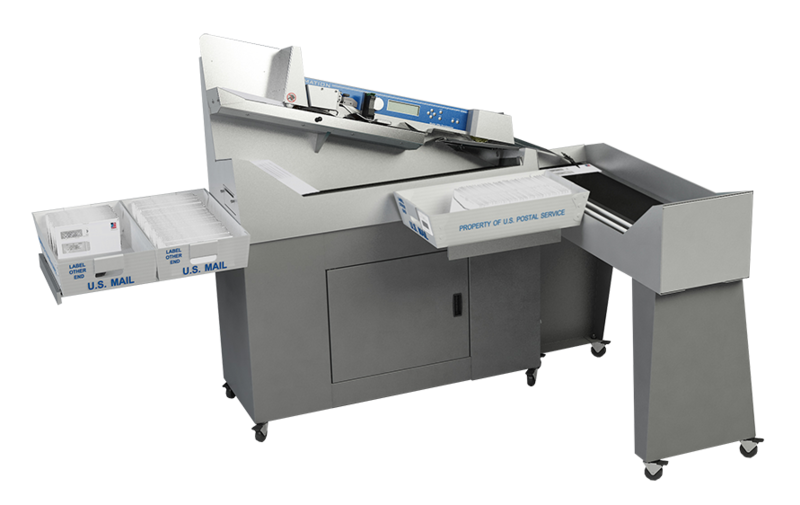 The 306 letter opener is the world’s fastest envelope opener/sorter, making it the appropriate automation solution for mailvcenters with large volumes of inbound mail. This machine will make quick work of all your envelopes, including flats andvovernights up to 1/2” thick. At a speed of up to 40,000 pieces per hour, this automatic letter opener easily opens and sortsvyour mail with the push of a button!